Calling all those who love to take selfies, the Alcatel Flash Plus is now in Malaysia for a promotional price of RM499. The device is a mid-range smartphone built for “selfie addicts”, and is available for preorder right now. 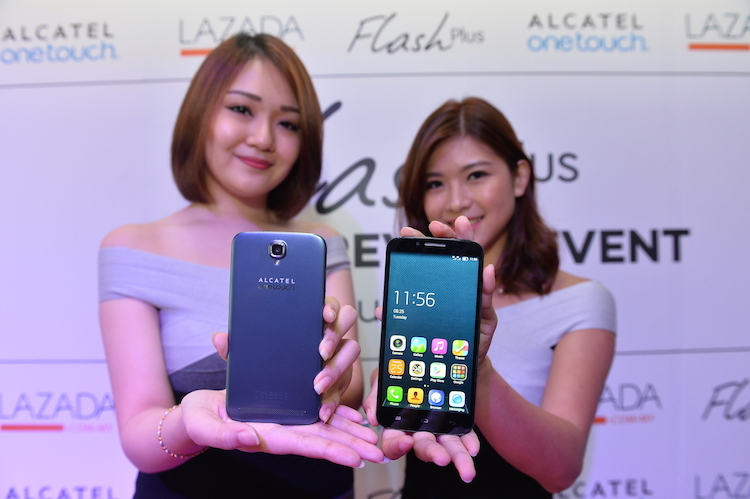 The Alcatel Flash Plus is a mid-range Android smartphone. It features a 5.5” IPS HD display, and is powered by a 1.5GHz octa-core MediaTek 6752M octa-core processor with 2GB of RAM and 16GB of expandable storage. As its name suggest, the Flash Plus is a camera-centric smartphone. It has a 13MP f/2.2 camera at the back, which Alcatel claims “provides crystal-clear details”. There is a manual camera mode for the professionals, and once you’re done taking pictures, edit them with the built in “semi-pro” photo editor. The front on the other hand features an 8MP f/2.4 camera with wide-angle lens. There’s a beauty feature with “facial-enhancement capabilities”, and a voice recognition that lets you snap a selfies by saying “cheese”. Other specs include a generous 3500mAh battery, LTE, dual SIM, and runs on Android 4.4 KitKat out of the box. The Alcatel Flash Plus is available for preorder from Lazada for a promotional price of RM499 (25 August to 7 September). After that, the phone will retail at RM549. Check out Lazada now for more information.